Grab A Free Ebook + Newsletter! Why You Need To Hire A Virtual Assistant ? Hiring the right resource for the right task is vital because time just flies and wasting time on unimportant small tasks is just not done. It’s a smart plan to leverage your time with a talented virtual team, then to get preoccupied with loads of stuff. Are you struggling with finding what to outsource to a Virtual Personal Assistant for your business? 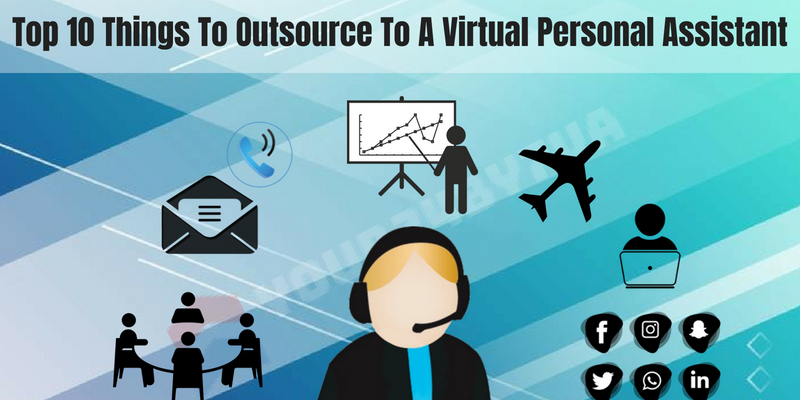 Here are 10 top things to outsource to a virtual assistant to improve your business. If you have outsourced a Virtual Personal Assistant then it becomes very easy for you to get everything done and not get busy with these small tasks. These chunks of pages from the meeting can be turned into a beautiful set of minutes. If you can find a talented person for deciphering scrawl and they will have it done in no time. You can Hire A Virtual Assistant for this task. Are you wondering who will prepare the presentation when you don’t have time to prepare one? Are PowerPoint slides troubling you? You don’t need a person standing in front of you. This can be done online too. Hire A Virtual Assistant, you can whiz your logo and notes over to an online Virtual Personal Assistant and let them do it and in no time you can go through and get give the presentations. Tired of deleting unnecessary wrongly addressed spam emails? Forgot your current important work just to reply to an urgent mail? It’s really tempting to sign up for subscriptions and newsletters but do you to read them? If your email inbox is full of spam newsletters then you are probably missing genuine messages and inquiries. This can be managed by doing all the sorting out all those folders, unsubscribing from newsletters by a Virtual Personal Assistant. Hire A Virtual Assistant for managing your emails is the best idea to not kill your productivity and efficiency at work. Do you wish to just show up for a trip planned exclusively for you and you don’t even need to print your boarding pass? Hire A Virtual Assistant, surprise yourself and make your virtual assistant do all the hard work from booking cheap airfares, hotel bookings, check-ins, renting cars, etc no matter if it is your personal vacation or work. A Virtual Personal Assistant can manage everything. Nowadays calendar invites and scheduling meetings are damn important. Hire A Virtual Assistant & make your Virtual Personal Assistant do the needful for you and you don’t have to be chased down to put you up on a scheduled meeting. If you just want to have ‘to-do’ and ‘to be’ list each day, there are VAs and even online virtual assistants to help you. All businesses these days are on social media. If you think you are wasting unnecessary time on social media which is not intended just Hire A Virtual Assistant so that the social media can be looked for. Let Virtual Personal Assistant handle everything. You just can occasionally check if the updates are up to the mark or not. Unless you run a bookkeeping business, you NEED to outsource this. Hire A Virtual Assistant, it’s extremely important to keep your books up to date, and it’s a serious time waster if you’re not familiar with it. Collecting bags full of receipts when your accounting deadline is there, why don’t you put monthly receipts into an envelope? You can have a Virtual Personal Assistant – bookkeeper online to input into your accounting software or a spreadsheet. Do you need a ghostwriter, blog writer or article writer? Just ask your VA! Or, if you’re determined to write the blog posts yourself, at least have them proofread and post them for you. Do they need headings and images? How about links and SEO work? Blogs can be a part of your marketing strategy to attract web visitors. Hiring a talented Virtual Personal Assistant specializing in writing could do wonders for your business, Hire A Virtual Assistant today. If you’re away with a client at an event or a meeting, who is replying to your phone? It is best to get someone to check your mobile voicemail at regular intervals and deal with the queries and even put them into your to-do list, take help of a Virtual Personal Assistant. Do you have a list of people who attended your event with their email address on a sheet of paper? You will need someone to input them into your database. Hire A Virtual Assistant, because a Virtual Personal Assistant can do it properly. 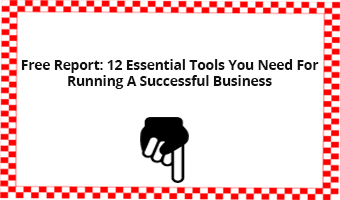 Rather than struggling with excel you can find a person who can do all the entries for you. You can Hire A Virtual Assistant for eCommerce tasks as well, but there is need to focus on some steps while choosing the right one. A Virtual Personal Assistant is true time and money saver – and therefore, for entrepreneurs and professionals, VAs are lifesavers, too! If you don’t have a virtual assistant on board– Hire A Virtual Assistant now and do what you do best and outsource the rest. How To Hire a Virtual Assistant For Your eCommerce Store? Copyright © 2018 HR TECH LLC All rights reserved. Start delegating tasks to your virtual assistant at no cost! Register for a trial now! Sign up to update with our latest news and products.